The USDA has cited Wilmington’s Tregembo Animal Park, a roadside zoo near Monkey Junction, with a violation of the Animal Welfare Act. 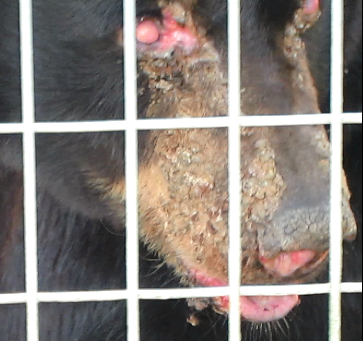 The citation came after People for the Ethical Treatment of Animals—or PETA—filed a formal complaint regarding a bear with severe facial lesions. The bear is undergoing medical treatment. "The citation is basically a slap on the wrist. It’s a notice that Tregembo Animal Park is not in compliance with the federal Animal Welfare Act. And it provided a date by which it needed to come into compliance by providing the bear with proper veterinary care." "This is our only citation with this bear, as far as Tregembo Animal Park goes. This is our only citation we’ve ever had. Any other citations would have been back when it was Tote-Em-In Zoo, and other people owned it at that time, so I really don’t know much about any of that." Tregembo says the bear is responding very well to the treatment.